NE Hypnosis is always questioned if Hypnosis Visualization For Weight Loss – Does It Really Work? The idea of trying something like hypnosis as an assistance to weight loss might seem strange. Instead it’s an incredibly effective way of getting yourself into the right mental state for successful weight loss. You see anyone could follow a ‘diet’ for some time.It may be a week or two or if you’re lucky maybe a few months. The problem is that people may say they want to lose weight, and they probably really do but why don’t they follow along? One problem is they don’t really believe that they are capable of really losing weight. This is one area where hypnosis for weight loss can be incredibly successful. mind before you see it in the mirror. Being put into a state of hypnosis or even just a relaxed meditative state, helps to make your brain more receptive to ideas that it might usually push away. This hypnotic state helps you to visualize your future self as someone that has followed through and achieved a weight loss goal. When your subconscious mind ‘sees’ or imagines something vividly and in great detail. It cannot tell the difference between the imagined scene and an event that has actually occurred. This means that your mind can see you as a person that sets a goal, plans a course of action to reach the goal, and follows through until that goal is met. This helps you to carry out the scene in the mind and makes it real for you. This far beyond the ability of the conscious mind in most people and this is why hypnosis and visualization can be a great asset to a weight loss program. Weight loss hypnosis is gaining in popularity because it is such a help for those who have trouble maintaining the motivation or follow through needed to lose weight. The power of the subconscious mind can be tapped with verbal auditory cues but we also use the imagination and creative mind. This will allow you not only to hear the goal but to see the end goal, something that can make all the difference for people who might have lost sight of what they want (no pun intended). 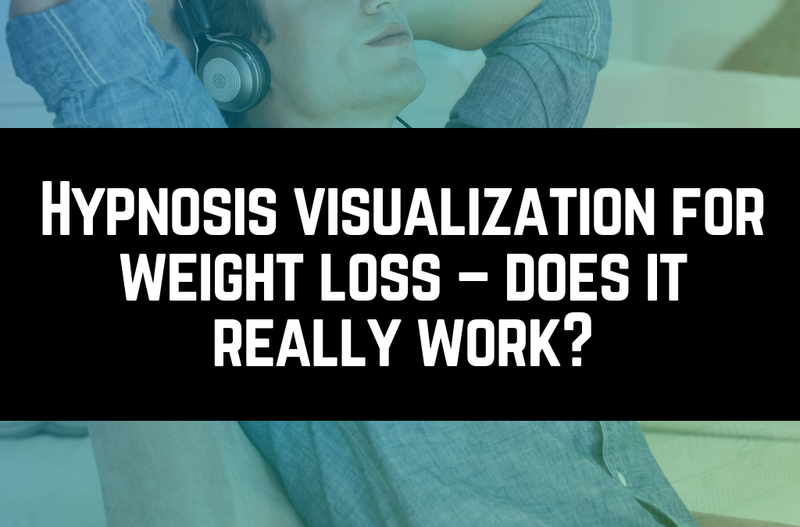 Here are a few common questions about how visualization complements weight loss hypnosis to help you with your weight loss goals. How does hypnosis visualization work? Hypnosis visualization is actually pretty self-explanatory. You’re put into a state of calm using hypnosis techniques, and then told to visualize your perfect weight, size, and shape. Being put into this state makes your brain more receptive to verbal suggestions. In turn allows you to see things you might normally be closed off to. These ideas then become lodged in your subconscious, and will have a positive impact on the way you structure your weight loss program. So how does it help with losing weight? This is easily one of the most important parts of hypnosis for weight loss, and is often one of the limiting factors in many people’s weight loss journeys. It’s difficult to see yourself as anything other than what you are now or what you’ve always been, particularly if you’re not happy with your current weight. We all see ourselves in a certain way, and the conscious mind has a great impact on this self-image. This can be hard to overcome on your own especially for people that may have been overweight since childhood. It’s all they’ve ever know so changing that mental image on their own may be very difficult. Hypnosis helps you to see past these limiting beliefs that are promoted by your conscious mind. Instilling the idea of success and an image of your ideal weight in your subconscious is designed to override your current perceptions. This is particularly helpful to call upon at times when you might be feeling low, or you might have lost sight of the purpose of your weight loss journey. Hypnosis can help you lose weight by setting you up not just with long-term motivation, but by providing you with a mind-set to achieve this goal. While this might be useful as a temporary fix, it then becomes incredibly easy to fall back into old habits. Hypnosis stops this by resetting your subconscious mind, and so it is useful for altering old or bad habits. Making changes to the way you see yourself and believing that you can make these changes real in your life is the only way to successfully lose weight and to keep it off. Successful long term weight loss and lifestyle changes require more than just dieting and exercise. It also requires changes in your thinking and mindset, to overcome the “stinkin’ thinking’ that you may have accumulated. Over decades telling you that you aren’t capable of really changing and losing weight for the long term. Without alterations to your entire way of thinking about yourself and your weight loss, it is very hard to make changes that stick. It’s one thing to set yourself a goal weight, whatever that may be, but it’s another to know what that actually means. What would it mean for you to lose 40 pounds? How different would you look? How much is 40 pounds of fat? How long will it take to lose 40 pounds? It can be easy to set an arbitrary goal, some random number of pounds to lose that might not have any real significance to it. Other people have decided to lose 40lbs, so I will too. In this case would losing 35 pounds be a failure? I would say certainly not!! Weight loss hypnosis works by helping you visualize your perfect weight, size, and shape. Visualization helps you see yourself as a success and this help your mind achieve it. It is beyond just a number on the scale. Think of it as “before and after” pictures, but in reverse. Setting yourself up with these images will help you to achieve them because you’ll have a much more concrete goal to work towards. It’s so easy to give up on a weight loss program because you’re bored with it, or you don’t think you’re seeing the desired results. This is another common problem with popular weight loss programs that insist you eat boring meals day in day out. Going through repetitive motions, theoretically with weight loss as the end goal. However, when you’re subjected to the same diet and exercise regimes day after day you can become incredibly demoralized, and it can be tempting to give up. If you visualize weight loss success early in your journey it will be much easier to keep the right levels of motivation. If you’re able to call on an image of yourself at your goal weight and size any time you’re feeling low then it will become much easier. Staying on the course or jump back on the wagon if you’ve slipped up. 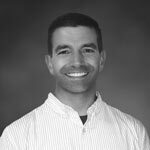 Once you’ve attended our hypnosis for weight loss program in CT, you will be able to call on this image of yourself at any time. This image of success installed in your subconscious mind. It becomes a very powerful tool for fighting against a lack of motivation, boredom, or sabotage from others or even from yourself. Visualizing physical activities before doing them can have a big impact on your performance. Athletes go through their routines in their minds time and time again before their actual performance. Practicing in your mind will make it feel like you’ve already done the activity countless times before. Weight loss hypnosis will help with this by improving your visualization ability. Once you’ve become practiced at conjuring up mental images you can apply the technique to any part of your weight loss journey. make everything much easier, and will boost your confidence too. Using weight loss visualization to boost your exercise will have positive consequences on the whole process. Visualization is something that every one of us will do every day. It’s using your imagination to see things in your mind. Many of us don’t have any problems seeing things in our mind, particularly if it’s something we see regularly, or something we feel passionately about. But if that’s the case, then why do we need hypnosis to help with visualization? The key difference is that hypnosis can help you lose weight by moving the visualization into your subconscious. Normal imagination is done more by our conscious mind than our subconscious, as we often have to actively think about what we want to see. By getting the subconscious involved in this process we are making it more powerful, and moving the ideas deeper into our minds. This in turn helps to cement them in place and to overcome any unhelpful or toxic thoughts. The subconscious thought and image will become our new reality. The state of hypnosis is one of being open to new ideas or suggestibility. This makes our mind more open to concepts and ideas that it would usually discount, and this is one of the most important things when it comes to weight loss. Often, because of social stigmas and personal ideologies, we are unable to see past the way we look now. We can’t see ourselves outside someone who is unhappy with their weight. Moving into your subconscious moves past these perceptions that bubble away in our conscious mind. How does our hypnosis visualization for weight loss help? As previously mentioned, most popular weight loss programs focus on immediate and short-term goals. They reward you for losing weight, following a point system or eating pre-packaged foods. Regardless of how much you lose in the short term, these programs don’t set up clients for long term success. If they set you up for long-term weight loss then they wouldn’t be able to make money from people coming back to them once they’ve gained all the weight back. It might sound blunt, but it’s the truth. The real ugly truth about some of these programs is that they can also wreck your metabolism from the yo-yo type, lose weight then gain weight dieting they use. Our weight loss program is unique because it focuses on providing you with the right eating program for long term success and the right mind-set for long-term weight loss success. Using weight loss hypnosis helps by changing the way your subconscious approaches the idea of weight loss. It will help to alter bad or damaging habits that might contribute to your weight gain. Being put into a state of hypnosis allows us to appeal directly to the powerful and logical part of your brain. Instead of working with the part that believes in the often wrong and even unhealthy social ideals of weight loss and exercise. By doing this, our hypnosis program is able to make real changes to the way you think and how you approach your end goal. Visualization and hypnosis are ideal tools for weight loss because they help you see past the present. Hypnosis helps you see success so that you can draw on this whenever you’re not feeling motivated. Our program is unique because it works on your mind-set rather than just your short term weight loss goals. This is the key difference, and is crucial for long-term weight loss and better health. If you’d like more information about visualization, meditation, and hypnosis for weight loss, please contact us. We have new sessions scheduled every month and would be happy to discuss if our program is right for you.